Geordie rock star Sting and Sunderland-born Emeli Sandé are to appear at this year’s Royal Variety Performance. Comedian, actor and children’s author David Walliams will host the event in the presence of Their Royal Highnesses The Prince Of Wales and The Duchess of Cornwall, from one of the most iconic and well loved live venues in the UK, the Eventim Apollo in Hammersmith. David will introduce the legendary Barry Gibb and Wallsend-born Sting, superstars Gary Barlow and Robbie Williams, the award winning Sheridan Smith and Emeli Sandé, plus this year’s magical Britain’s Got Talent winner Lance Corporal Richard Jones. More show-stopping numbers are provided by Amber Riley star of the Tony Awards winning musical Dreamgirls, One Republic, DNCE, ABC and McFly’s Tom Fletcher who will be premiering his new book The Christmasaurus with an enchanting one off performance. 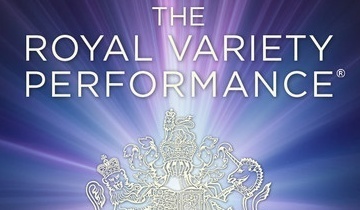 The show promises to be an unforgettable evening of the best UK and international musical performers, extraordinary theatre, and brilliant comedy as well as a number of sensational surprises. The star studded spectacular will take place on Tuesday, December 6, and will be screened on ITV in December. It will be produced by ITV Studios.